Hop on over to these spots and usher in the year of the Metal Rabbit by feasting on "lucky dishes." Usher in the year of the Metal Rabbit on February 3 with a feast-SPOT.ph guides you to the best spots in the city where you can welcome the Chinese New Year with good vibes and great food. Try Executive Chinese Chef Sam Lee’s set menus at Crowne Plaza Hotel’s Xin Tian Di and gorge on dishes that symbolize good luck and abundance. The set menus include dishes like Yu Sheng Salad, 2 Ways Chicken, Peking Duck, Steamed Lapu-Lapu with Pickled Vegetables, Braised Winter Melon with Dried Scallop, Sea Abalone and Sea Moss, Thai-Style Braised Crab with Vermicelli Thai-Style, Fried Crab with Salted Egg, and Tikoy. The dishes will be available from February 2 to 17. Basix will offer a Lunar New Year’s Eve Reunion Dinner (P1,680 net per person) on February 2. 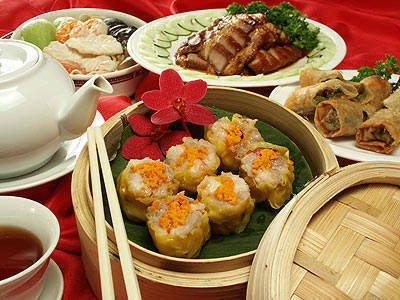 Feast on their Chinese dishes and their spread of international dishes coupled with free-flowing wines and Chinese tea. Check out the options at Eastwood Café over in Quezon City-the Peking Duck is set to be the star of the luncheon with popular Chinese dishes at P999 net per person. Diners also get tokens like fortune cookies and ang pao with a voucher worth P100 which may be used for Eastwood Cafe’s Happy Hour Food Buffet. Dine at HEAT and experience the return of La Mien: TheAncient Art of Chinese Hand-pulled Noodles featuring Guest Chef Sun Yi Li from Golden Flower Hotel, Xian, China. Chef Li will be making hand-pulled noodles from February 2 to 24 as part of the HEAT dinner buffet. Choose from set menus for tables of 10 at Summer Palace until February 17. The Fortune, Prosperity, and Longevity set menus will feature traditional favorites like Salmon Yee Sang, Fried Oyster in Money Bag, and Fried Tikoy with Taro. Li Li offers three kinds of set menus for your Chinese New Year feast. Take your pick from the menus highlighting items like Suckling Pig Combination Platter, Braised Dried Oyster with Hair Moss and Lettuce, Charcoal-Roasted Pipa Duck, Braised Sliced Mexican Abalone and Sea Cucumber in Premium Oyster Sauce, Wok-Fried Scallops with Shrimps and Dried Fungus in XO Chili Sauce, and desserts that include Chilled Mango Cream with Pomelo, Fresh Seasonal Fruit and Pan-Fried Glutinous Rice Cake Coated with Egg, and more. The New Year set menus will be available for dinner on February 2 and for lunch on February 3. 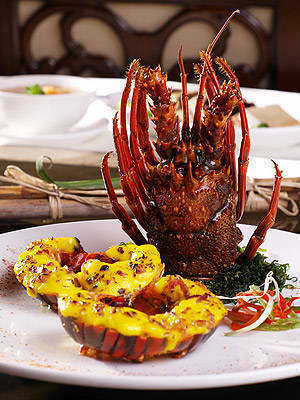 A Chinese Lunar New Year à la carte menu will also be available. Market Café’s Chinese New Year offerings include Peking Duck, Hot and Sour Soup, Szechuan Chicken, Fried Crispy Noodles with Assorted Seafood, Wok-Fried Beef Tenderloin in Mandarin Sauce, Fried Rice with Shrimp in Lotus Leaf, Bean Curd with Clams and Abalone Mushrooms, and the traditional Tikoy. 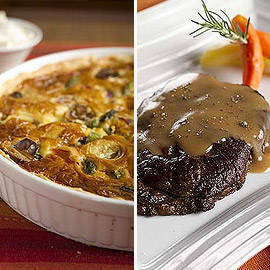 The dishes will be available for dinner on February 2 (P1,490 net) and for lunch on February 3 (P1,650 net). Buffet rates include free-flowing soft drinks and local beer. Tin Hau will offer New Year set menus from February 2 to 6 which will include: Steamed White Sea Bass Fillet with Ginger Paste and Superior Soy Sauce; Braised Abalone, Sea Cucumber and Black Moss with Vegetables in Oyster Sauce; Deep-fried Shrimp with Mayonnaise and Corn Flakes; Deep-fried Live Garoupa with Capsicum and Chinese Mushrooms; and Stewed US Spring Duck with Sea Cucumber and Chinese Mushrooms. There will be six menus representing Treasures, Fortune, Happiness, Triumph, Opulence, and Pen Cai, from P1,388 to P2,388 per person. 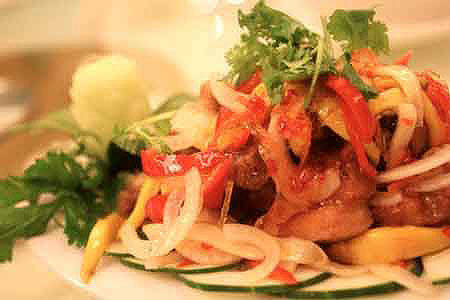 All menus will be offered for groups of eight to ten persons and two to four persons. Check out Manila Hotel’s Chinese New Year celebration at the Mabuhay Palace on February 3: a dragon dance and indoor fireworks will be part of the relaunch of the Chinese restaurant. Mabuhay Palace will also introduce its all-Cantonese menu by Executive Chinese Chef Sun Bing with signature dishes like the Long Life Prawn and Vegetarian Peking Duck. Resorts World Manila, Newport Boulevard, Pasay City. Tel. No. Passion’s Chu Xi | Family Reunion Dinner will be available on February 2, 9 p.m. to 12 midnight with a special performance by Mohan. Head to The Plaza at Newport Mall from February 3 to 6 to see performances from the lion and dragon dancers of the Philippines and Malaysia, the Chinese Fan Dancers, and the Chinese Ensemble. Performances will be at 2, 4, and 6 p.m. Catch them at the main entrance of the gaming area on February 4, 11 a.m. to 2 p.m.
Jasmine will offer a seven-course menu that will include the "Ultimate 18 Treasures Feast" from February 1 to 9 (for lunch and dinner) at P14,800 for six persons and P28,800 for 12 persons. An a la carte menu will also be available, plus a drink-all-you-can promo on their house wine P988 per person. On February 3, 1 p.m., catch the lion and dragon dance by the Ling Nam Athletic Federation at the hotel lobby and at Jasmine. Richmonde Café will serve a lunch buffet with Peking Duck, Roast Pork Loin, and Freshly Grilled Shrimps and Poached Crabs at P1,200 net per person-inclusive of iced tea or Coke. Diners will also receive an ang pao with a voucher worth P100 which may be used at the Lobby Café, plus a fortune cookie to complete the dining experience. 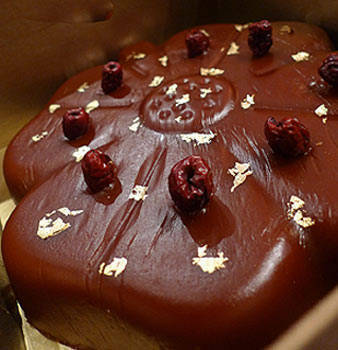 From January 24 to February 6, enjoy a festival of food and fortune at Spiral. Traditional lion and dragon dancing and eye dotting ceremonies will be performed. 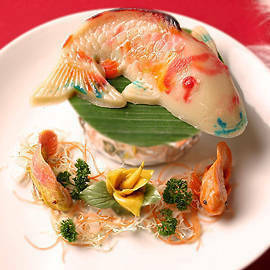 Sofitel Chef Peter Yeung has come up with menus designed to bring good fortune, joy, prosperity, health and well-being this 2011. Lychee coolers and green iced tea with longan fruit will be offered. Spiral buffet rates start at P1,688++. 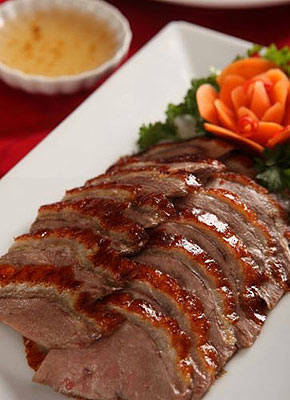 Celebrate at Choi Garden with set menus which include Peking Duck, Fried Pigeon, Fried Taro Duck, Sea Moss, Dried Scallop, Whole Suckling Pig, Dried Scallop Ring with Oyster, and Grilled Layer Pork with Salmon. Rates start at P4,800 for groups of 12. The set menus will be available on February 2 and 3. The restaurant is already fully booked for dinner on both dates. Call Choi Garden to reserve your lunch feast. Feast on dishes like Suckling Pig, Peking Duck, Fried Pigeon, Fried Taro with Golden Mushroom, and Sea Moss from Hai Shin Lou. Call the restaurant to reserve a table for Chinese New Year lunch and dinner. Peking Garden will offer a Chinese New Year’s Special set menu (P16,800++) which will include Shark’s Fin Soup with Shredded Abalone and Dried Scallop, Baked Tiger Prawns with Butter and Garlic, Deep Fried Peppercorn Crabs, Fried Rice with Scallop and Crab Roll, and Steamed Supreme Soup and Pork Dumplings, and more. The set menu will be available until February 17. Head to President’s Tea House and indulge with their Chinese dishes like Peking Duck, Roasted Duck, Dried Scallop and Winter Melon Thick Soup, Crab Meat and Sweet Corn Thick Soup, Crispy Fried Pigeon, and Crispy Fried Minced Shrimp Balls. Photos courtesy of Crowne Plaza Galleria Manila, Manila Hotel, Mandarin Oriental Manila, Richmonde Hotels, Hai Shin Lou, and JJ Yulo (President’s Tea House).